Salt Lake Symphony is committed to keeping Utah music alive by working with local soloists and composers. 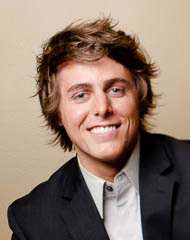 Dr. J. Peyden Shelton has rapidly earned a reputation as an active clinician and performer throughout the United States and Canada. He has been featured as a soloist with various ensembles including the Reston Symphony Orchestra, the Winds of the Blue Ridge, the Utah Wind Ensemble, and Cornell Wind Ensemble. As a chamber and ensemble musician, he has performed with numerous groups including the Utah Symphony Orchestra, Rochester Philharmonic, Roanoke Symphony Orchestra, and the New World Symphony under the direction of Michael Tilson Thomas and Esa-Pekka Salonen. He has also been a featured performer with various artists such as Pharrell Williams, Gloria Estefan, The Beach Boys, and Gloria Gaynor. 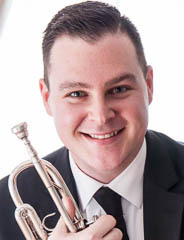 In 2014, Dr. Shelton was awarded 1st place in the Graduate Soloist Division of the National Trumpet Competition performing Joseph Turrin’s Concerto for Trumpet and Orchestra. Since that time, he has presented solo recitals at numerous universities and festivals including The University of North Texas, Newberry College, the University of Southern Mississippi, Tennessee Tech University, Virginia Tech Trumpet Festival, and Fredericksburg Brass Institute. Dr. Shelton is also co-founder of Fifth Bridge (fifthbridge.org), a new chamber ensemble that performs and promotes new music for fixed media and sound manipulation. They have been featured at the Virginia Tech Trumpet Festival, the Mid-Atlantic Trumpet Festival, and will be a featured performer at the 2019 Moss Center for Performing Arts’ CUBE Festival. Robert J. Seebacher is currently Music Director and Conductor of the Johnson City Symphony Orchestra in Tennessee, Assistant Professor of Music and Director of Instrumental Programs at Centre College, and Assistant Conductor of the National Chorale in New York. Previously, he was Director of Orchestras at the University of South Alabama and Music Director of the Mobile Symphony Youth Orchestra. He has appeared with the Lexington Philharmonic, Youngstown Symphony, Warren Philharmonic, and Mobile Symphony Orchestras. 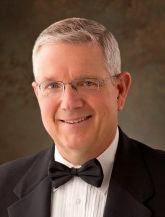 He has held assistant conductor positions with the University of Kentucky Symphony Orchestra and Opera Theatre, Bowling Green Symphony, The Bowling Green Philharmonia, and the Youngstown Symphony Youth Orchestra. Dr. Nathaniel Eschler is a Composer, Conductor, Guitarist and Educator. Nathaniel has a BA in Classical Guitar Performance from the College of Charleston, and an MM(music theory/composition) from the University of Utah and a PhD(music theory/composition) from Brandeis University. He has also studied composition and conducting at the Frieie Universität in Berlin. Utah Voices is a group of volunteer singers varying in skill: some have no previous choral experience while others have received professional vocal training. Some are still learning to read music; others are practiced sight-readers. The choir members range in age from young adults to senior citizens and are a mixture of business people, students, educators, engineers, homemakers, and retirees. They are enthusiastic about their mission and about making choral involvement a priority in their lives, dedicating their talents to each other and to the community. Although members do not audition to join, the artistic staff expects capabilities beyond those of the average community chorus. The choir strives for a higher level of musicality in order to offer concertgoers unforgettable choral concert experiences, providing inspiration, excitement, fun, and nostalgia. Utah Voices was created by a handful of dedicated, hardworking people who love to sing. It is the culmination of the dreams and united vision of individuals who are passionate about making music. 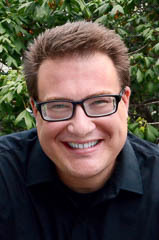 Kelly DeHaan received his undergraduate and graduate degrees in choral education and choral conducting from the University of Utah. Kelly has been teaching high school choir at his beloved West Jordan High School since 1997 and is devoted to his students. 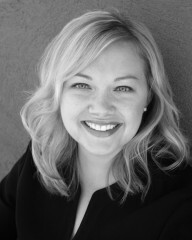 Hailed as a “soaring, sparkling soprano” with “vivacious stage presence”, American soprano Melissa Heath received her Master’s degree in vocal performance from the University of Utah in 2009. Melissa has performed the roles of Amy in Mark Adamo’s Little Women, Cunegonde in Bernstein’s Candide, La Ciesca in Gianni Schicchi, Marianne in Tartuffe, Gretel in Hansel and Gretel, and First Lady in The Magic Flute. Kirstin Chávez has captured attention and acclaim in her signature roles and is recognized as one of the definitive Carmens of today; a role that she has performed with great success throughout the United States, and around the world. Opera News reported that her Carmen in Graz, Austria was “the Carmen of a lifetime. With her dark, generous mezzo, earthy eroticism, volcanic spontaneity and smoldering charisma, Chávez has it all, including a superb command of French and a sense of humor.” Ms Chávez has also showed great success in various pants roles, including Octavian in Der Rosenkavalier (Florentine Opera), Hänsel in Hänsel and Gretel (Atlanta Opera), and Orfeo in Gluck's Orfeo (Metropolitan Opera). 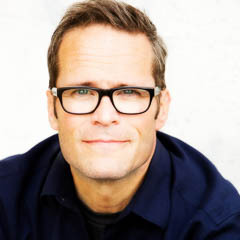 Sterling is Music Director and Founder of The Choral Arts Society of Utah, conducting as many as six concerts each year with the 100-voice choir. He was appointed Associate Music Director of the Jay Welch Chorale in 1985 and served under Dr. Jay Welch for eleven years. 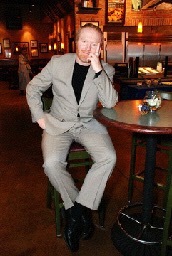 He was appointed Music Director and Conductor of the Choral Arts Society of Utah in December 1996. His career includes guest-conducting performances with the Utah Symphony, West Valley Symphony, the New American Symphony, the Sierra Nevada Master Chorale & Orchestra, the Fillmore Regional Chorus & Orchestra, the South Davis Community Choir & Orchestra and the Southern Utah Heritage Choir. He has had several guest conducting appearances with the Utah National Guard’s 23rd Army Band, including a performance of Randall Thompson’s Testament of Freedom in the Assembly Hall on Temple Square. The Choral Arts Society of Utah Master Chorale is an eclectic group of people who gather weekly to share their common passion for singing. Founded in 1997, the choir has grown to a membership of 100+ members under the leadership of founder and Music Director, Sterling Poulson. 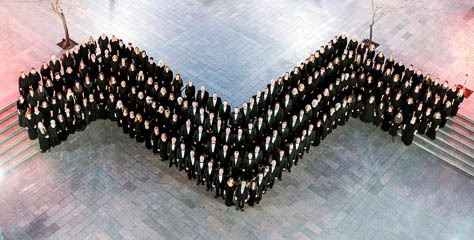 Established as a private, nonprofit 501c3 nonprofit corporation, their goal is to help preserve the choral art, promote music appreciation and provide public performance opportunities for singers, musicians, composers, conductors and others. The society performs an average of 5 formal concerts a year, either alone or in conjunction with other artists or organizations as well as a series of community interaction performances and appearances. 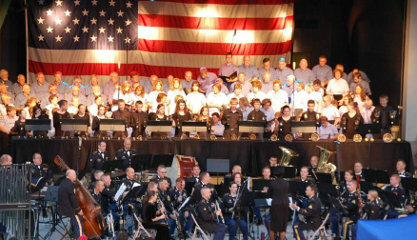 Most noted of the Society’s annual performances are the “Days of ’47 Pops Concert”, traditionally held in Abravanel Hall to kick off the Pioneer celebration in Utah, and the “Holiday Pops Concert”, a benefit for the Salvation Army Angel Tree Program. Choir members join through an audition process and rehearse every Tuesday evening at Taylorsville High School from 7:00 to 9:00 P.M.